"He is an inspiration to others as he has never missed the chance to vote." Imagine someone who has seen the world’s largest democracy grow since its inception. First ever voter of independant India, Shyam Saran Negi can cast his vote once more within the upcoming meeting elections in Himachal Pradesh! And the Election Commission is making particular preparations in order that the centenarian seamlessly casts his vote, yet again. He was the first man to cast his vote in the first-ever general elections, which were held in 1951-52, almost 66 years ago. Negi is a retired school teacher and belongs to the Kinnaur district of Himachal Pradesh. The story behind how he became India’s first ever voter is interesting; the parliamentary polls held just after independence witnessed advanced voting in Kinnaur, in view of the harsh winters and early snowfall. The elections in other parts of the state were held later in January and February 1952. With Himachal Pradesh assembly elections on their way, the Election Commission has decided to make special arrangements for Negi so that he can turn up to cast his vote – at the moment he can’t, because of his old age. Negi, who has been exercising his right to vote since last so many years has turned weak and frail. 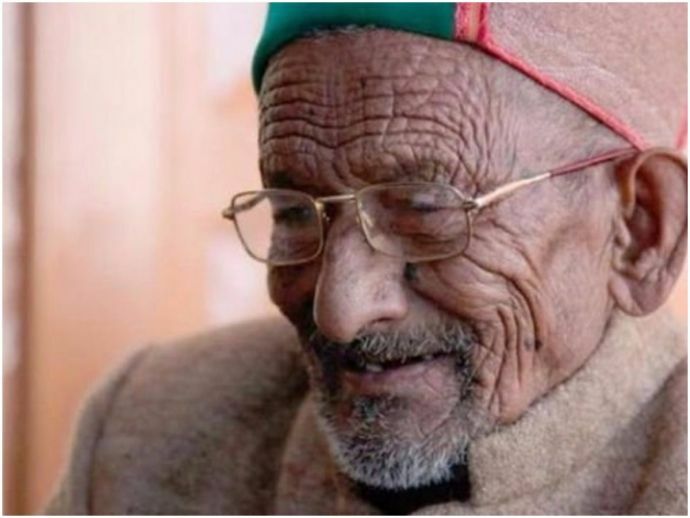 To honour him, a grand welcome will be organised at the polling booth and the Kinnaur district administration will send a vehicle, which will carry him to the polling booth to once again cast his vote. The vehicle will also carry him back home. "He is an inspiration to others as he has never missed the chance to vote," said Surma Devi his daughter-in-law in an interview to TOI. Negi rose to popularity after search giant Google created a video for its #PledgeToVote cam1paign during 2014 parliamentary polls, where he is featured narrating his story of casting the first ever vote in independent India.